Yum!! I am a new follower of your blog. :) This is a perfect summer cupcake. Thank you for the recipe! That frosting looks so good! Going to have to try this recipe soon! 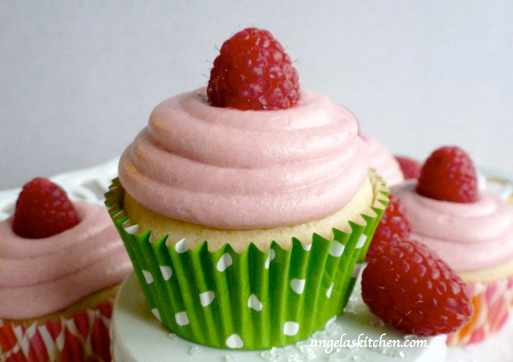 Pink frosting just makes for happy looking cupcakes, doesn't it? :) All they need now are sprinkles!